Black overlay mini skirt with sheer hem overlay and exposed zipper at the back is an easy stylish pick. The skirt in mini length gives a flattering fit and the sheer hemline gives it a luxurious and edgy finish. The overlay fabric creates volume and has beautiful movement. 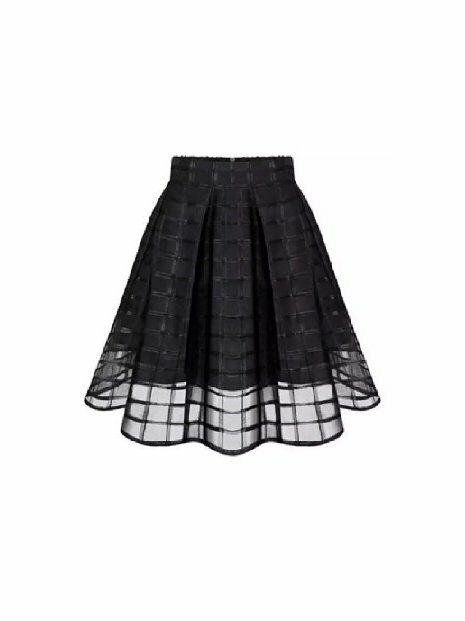 This skirt boasts a fabulous flare for a feminine silhouette with gorgeous see through overlay. The item is available in two colours and is perfect for winter parties and girls nights out. Wear it with buttoned down shirts, heels and shiny clutches.